If you are thinking about purchasing used cars for your dealership there are a few things you need to research and take into consideration. You could be buying a car from another dealership or a private seller, however in either situation there is always the possibility of being taken in by a scam. Unfortunately there are a few dishonest people out there who will do anything for a bit of extra cash, however if you do your research and check the vehicles properly then you should have no issues. 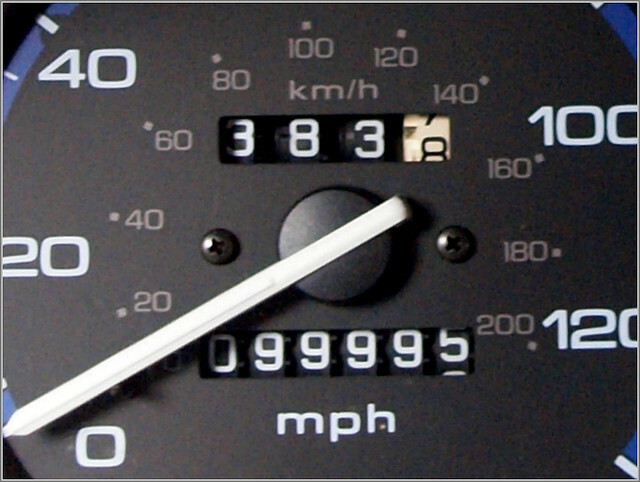 Car clocking is when a car salesmen/owner takes miles off of the odometer so that it looks as though the car hasn’t done as many miles and therefore sells for a higher price. This scam can add hundreds of pounds back to a car’s value; for example, if a car has 1,000 miles taken off its odometer it can add from £100 to £400 to its value. Criminals are always thinking of new ways to make money such as cloning which can be achieved by swapping number plates, registration documents and even the service history and VIN. Sellers may also be cloning cars if there is still finance left to pay or if there are fines attached to the car. You can easily check if a car is cloned by doing a vehicle check and making sure all the information matches up i.e. engine size, date of first registration etc. You may also be able to spot signs of tampering with number plates or documents that could have been changed. If you do have a funny feeling about a vehicle then walk away and maybe even contact the police so that no one else gets caught out. We all know that the internet isn’t the safest place to get to know people and you cannot trust anyone online. If you are asked to place a deposit into an account so that the car does not sell then you should begin to be suspicious – don’t do it! Often you can find adverts for cars that have the correct information, registration numbers and all the checks match up but the car does not actually belong to the advertiser. Fraudsters create these adverts so that they can ask you to send money as ‘security’ but you will never hear from them again after the money is transferred! Do not send any money if you haven’t met the seller, seen the car and done all the checks required. Often these scams are performed from abroad so if you are exchanging emails with the seller and you notice bad spelling or grammar this can be another tell-tail sign. As a private seller you are not required to tell any potential buyer about faults or problems with the car. Even though you don’t have to tell them this information, if they ask then you must tell the truth under the Sale of Goods Act. On the other hand, dealers must tell you everything that is wrong with the car and also offer you at least a 3 month warranty. Sometimes dishonest dealers will pose as private sellers to avoid any legal commitments. The rogue dealer will ask to meet somewhere public like a supermarket car park but this should straight away spark suspicions. You should ask the seller as to why they won’t show you the car at their home. The best way to approach the viewing of a private seller’s car is to say “I’m contacting you about the car for sale.” The reason for this being that a private seller is not likely to have more than one car for sale, while a dealer will have many. If this doesn’t catch them out, make sure that you ask lots of questions about the car and really dig deep into detail because a real private seller will know all the details off by heart. Overall, buying a car can be a scary and dishonest process and you will need to become Sherlock Holmes when it comes to buying off of certain sellers. Do not rush into anything because it’s better to wait than to lose hundreds or potentially even thousands of pounds.